Prudent Broking is a key player in the stock market with hundreds of Prudent Broking Sub Broker working under them across India. Prudent Broking Services Pvt. Ltd, it was incorporated in 2004. It is a stock broking and Depository Participant service provider. The company is a member of BSE (Bombay Stock Exchange) & NSE (National Stock Exchange). They help investors by creating an asset class and enable them to purchase their preferred property at home or in their office Prudent Corporate Advisory Services Ltd. is the best company of the group offering specialized services in Personal and Corporate Investment Planning through Mutual Funds, Debt and Third-Party products. In this article all important details require for franchisee are discussed. The experience of customer of Prudent Broking is average. Customers have rated 2.3 out of 5. According to their experience there are many areas that need to improve for better rating. No cost Breakup– a potential client always wants to know about the brokerage and other costs that they would need to pay while trading. However, Prudent Broking is not transparent about this particular aspect and can pitch in any specific number. No Live Chat – Prudent Broking do not have live customer care support. For companies offering financial products and services, the service is considered to be the most important because customers are may find issue in trading. In addition, its website lacks the options for customer service, so there is no request for a call or anything alternative when it comes for prospective investors. Prudent Broking Securities was established by Niketa Sanjay Shah. It is a private company; its headquarters is in Ahmedabad, Gujarat. The Prudent Group was formed in 1995 and offers support services in the field of corporate and individual investors as a full – service stock broker. With the continuously increasing quality of its customer, the company has established itself over a period of time. The brokerage has developed an internal capacity to track and analyze the funds on different criteria before transferring them to the customers. For SB Code Activation they take 30 Days and take 35 Days for Payout. Prudent broking securities would use business models as a motive to expand rapidly and thereby overcome the three scarce resources of managerial skills, local market knowledge, and financial capital. As firms grew in size and matured they get revenue to update their services and product. This also helps to expand in different cities through its sub-brokers and franchise. Prudent broking securities offer to become sub broker for partnership. Sub broker signs the member-client agreement. They deal straight with the brokers. In such agreement papers, the clauses regarding the duties and responsibilities of the client through sub-brokers (or broker as well) are defined. It should also not violate the rules, guidelines, or circulars in this regard. Franchisee own and operate your own licensed territory as a stand-alone business. The sub brokers are paid sales commission based on a proportion of the amount of the trade. 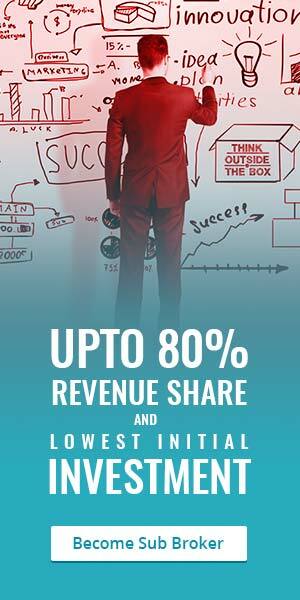 In revenue sharing models, the sales commission can increase or decrease as the volume of sales increases. Sub Broker gets the commission of 50% – 80% of total revenue. Franchise Cost is an amount of money given to an additional to set as security in the event of any mishap happens, such as damage to a thing during the period of a lessee’s tenure and prove support by service and products. The total investment necessary to begin operation of a Prudent Broking Securities franchise is approximately Rs.30,000 to Rs.150,000, this must be paid as the initial franchise fee. In table infrastructure requirement for partnership is discussed. Prudent Securities mentioned Infrastructure Requirements for partnership to maintain class as per this market and to attract customers. They have formed this standers from their years of experiment and standerd. Office Area should be Minimum 200 Sq Ft. Minimum 1 Employee should be present in the office. Providing research services in the operating area is important. Trading Terminals is option as per requirement. Telephone lines should be maintained for operation smoothly. Prudent Securities guarantees zero deposit and free cash since customer does not have to pay the costly amount. Unlike other initial Deposit of Rs 10,000 is not required. They allow using revenue sharing to implement flexible prices. Sharing zero income with pre payment is not permitted. Flat fee model is not allowed to their franchisee. In the following table discussed how Prudent Support Franchise. Ongoing Back-Office support is provided as needed as well as best practices shared among the franchisee open network. They allow to access of their product, services and trademarks of the company. They let franchisee to sells product or offer a service under the name of a company and charge commission. Prudent Securities Franchise is provided with Marketing Support and Back-Office Support. They provide Trading Support by providing quality research. They provide acquisition training and dealing training. The brokerage and other taxes will be levied according to your trading capital and agreed brokerage in this segment. For brokerage, Prudent Broking is a full – service stockbroker and therefore fees a percentage of your trading sales. In addition, we always advise traders (particularly beginners) first to understand the risks and consequences and to use only margin in their trades when it comes to exposure or leverage. They charges 0.51 % for trading in equity delivery. Flat 0.05% is charged for trading equity futures, currency futures and also for commodities. For the equity options, the charge is flat Rs.51 per lot and for currency options; it is Rs. 31 per lot is charged as brokerage. Brokerage for trading in MCX is 05%. Account opening fees are described in the table below. The trader of Prudent Broking proved online trading account to trade futures and options on NSE. The customer receives a single customer code, which is for trading orders, upon registration. The platform provides safe transaction modes as well. The Prudent Securities Share Demat Account opening charge is Rs.310 yearly. The Demat Trading maintenance is Rs 400. The trading account maintenance is free. The transaction charges are 00315%. 15,000 minimum margin money that the client has to maintain in demat account for trading. The company offers a varied range of services to their client’s from the broking services, insurance sector and realty sectors. The client gets a range of services at one place, and therefore, does not need to look anywhere else for any sort of financial services solutions. The company ensures through its series of reports that the customers are well informed and aware of the developments that occur before trade begins. Trading platforms– Cautious Broking offers all available trading options to their customers. The ODIN diet and ODIN terminals set up on their web site can be downloaded easily by a client. You also have a trading smartphone app.